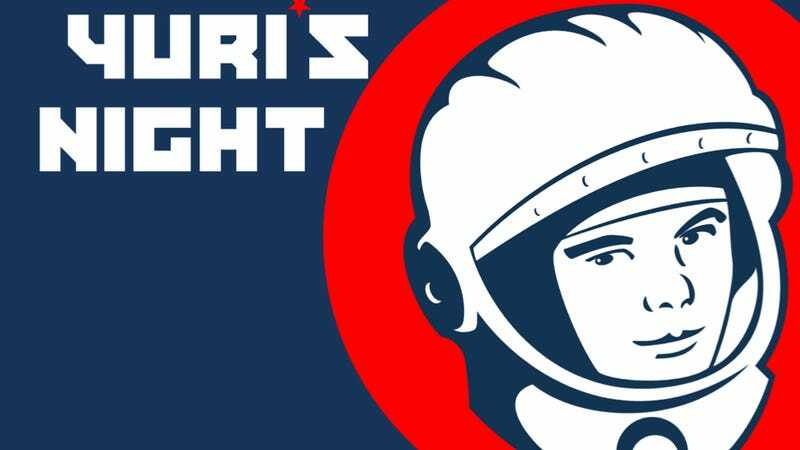 Find out where you can celebrate Yuri's Night! It's Yuri's Night! Tonight, space enthusiasts the world over will kick off celebrations to commemorate 52 years of human space exploration by recognizing the anniversary of cosmonaut Yuri Gagarin's historic flight into space (not to mention the 32nd anniversary of the very first Shuttle launch). Yuri's Night is technically tonight, but celebrations are scheduled all over the world every night for the next few days. As of this posting, there are 340 events planned in close to 60 countries, and every continent on Earth will be represented. And for the first time ever (to our knowledge), Yuri's Night will be celebrated on two planets: NASA's Curiosity Rover will be partying it up on Mars! "We're honored to be working with the Curiosity team to take the celebration of space to new heights," Ryan Kobrick, the executive director of Yuri's Night, told SPACE.com. "As we continue to reach for the stars and inspire others to do the same, we're looking forward to this being the first of many Yuri's Night parties to be held on other planets." To find the event nearest you, check out the official Party List on the Yuri's Night homepage. It's also not too late to register your own party!